Tristen Gaspadarek, or just her artist name, Tristen, is no newbie to the music scene. Those around the Nashville scene got to know her a bit as an aspiring folk/country singer/songwriter, particularly after her 2011 album Charlatans At The Garden Gate, and tours with the likes of Justin Townes Earle. Two years later, she came up with Caves, practically a synth pop album, surprising everyone who heard her before. Four years on, and Tristen is back with Sneaker Waves. Those expecting a return to Americana or another synth thing don’t get either. Nor do the rest of us. But if you’re in for an almost perfect summer guitar pop album, Tristen has come up with one. 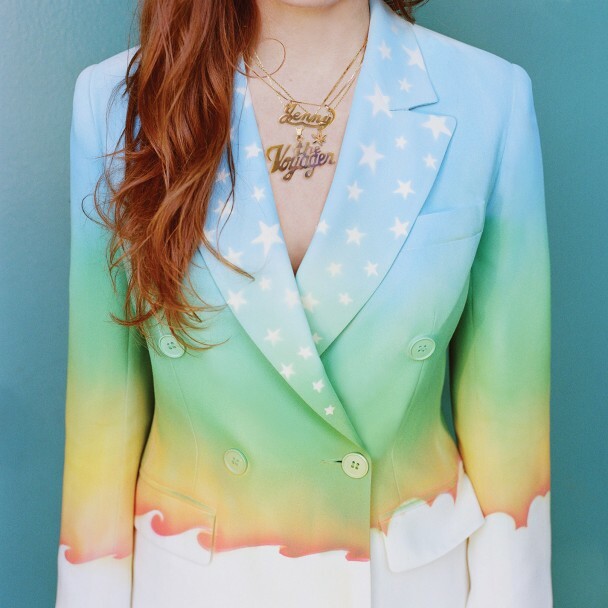 Backed by people like Jenny Lewis, who returns the favour (Tristen was part of Jenny’s backing band for a while), Tristen was able to come up with an ingenious combination of Big Star playing Harry Nilsson songs, sung with by a great pop female voice, at moments akin to that of Aimee Mann. The introductory Got Some has intricate guitar lines, while Glass Jar has great Lewis vocals and Tristen’s signature organ sound. The upbeat tone of the music which is almost perfectly executed continues throughout the album, but the seductive summery tones are just something to draw you into Tristen’s quite perceptive lyrics. The mood of those is not so summery, covering everything from the daily American politics to life with social media. And all that done without naming any particular names. “I’m tired of your cryptic emojis” sings Tristen in Psychic Vampire, the title itself giving you an indication in which direction the song is going. So Tristen has come up with a double layered album, a musical, pop summer breeze coupled with brisk social commentary. You can enjoy each layer on its own, but they seem to gel quite nicely together to produce an enjoyable bittersweet balmy weather pleasure.